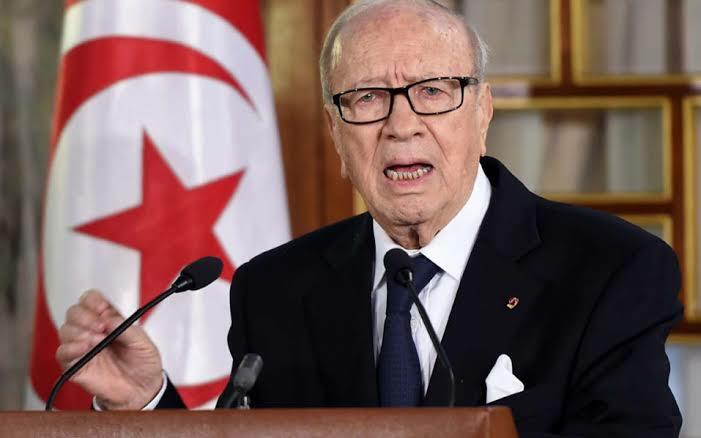 The 92-year-old Tunisia president Beji Caid Essebsi cleared the air on Saturday that he has no interest in going for re-election in the November election but given chance for the younger to take over the control of the country. Tunisian president Beji Caid Essebsi. Beji told the Nidaa Tounes party which he founded in 2012,"In honestly speaking, I don't think I will put myself forward," adding it was time "to open the door for the youth to rule". The speech was made right in front of thousands of members at the party's congress several days after Abdelaziz Bouteflika, the 82-year-old ailing leader of neighbouring Algeria, resigned in the face of huge protests ending two decades in power. The country's young took to the streets to call for wide political change, forcing a swift change of power that will lead to the election of a new president. The president secularist Nidaa Tounes won the 2014 elections and formed a coalition with the Islamist-inspired Ennahdha that lasted four years before the two parties split. After parliamentary elections which have been scheduled for October 6, Presidential elections are due on November 17. Not one of the North African country's main political parties have yet announced their candidates for the presidential polls.